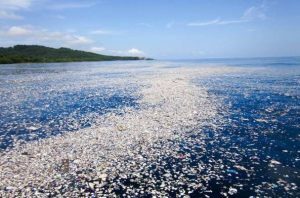 Are The OCEANS Our Biggest GARBAGE CAN … Go Figure?! We, humans, solve difficult problems and create amazing things, but we stab our hearts in a kind of a “stupid and relentless suicidal mission” on a daily basis all over the world. 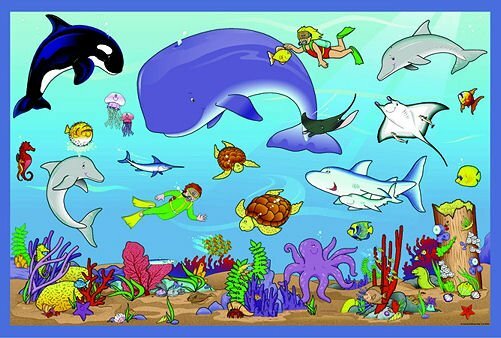 A good example is the contamination and destruction of our Oceans and their ecosystem when we use the oceans as garbage disposals. 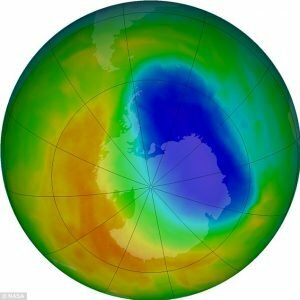 According to NASA, we have reduced the hole in Earth’s ozone layer, which it is now smaller that it has ever been since 1988. In a synchronized worldwide effort, we have managed to reduce the use of ozone-depleting chemicals such as Chlorofluorocarbons (CFCs) used in many industries to fulfill various human needs. But of course, we have also received a little help from Mother Nature. How? Let me explain. Marawa Eltagouri from The Washington Post published last Oct 3rd/17 the following: “Weather conditions over Antarctica were a bit weaker and led to warmer temperatures, which slowed down ozone loss,” said Paul A. Newman, the chief Earth scientist at NASA’s Goddard Space Flight Center in Maryland. “It’s like hurricanes. Some years there are fewer hurricanes that come onshore . . . this is a year in which the weather conditions led to better ozone [formation].” Therefore, we need not sleep on our Laurels and keep avoiding the use of CFC’s. The Nobel Prize in Chemistry in 1995, Mr. Mario Molina from Mexico City was who with the help of his team discovered the hole in Earth’s ozone layer and how chlorofluorocarbons deplete said layer. 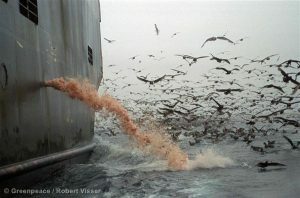 Since then, we embarked a relentless effort worldwide to reduce the CFC’s, and we have managed to do so. 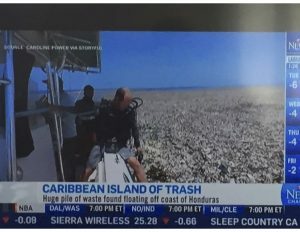 Recent News: A Caribbean Island of Trash has been discovered! 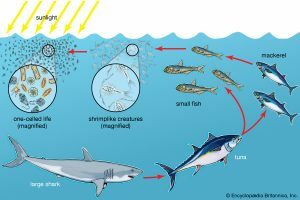 As human beings we can succeed in solving serious issues such as the hole in Earth’s ozone layer, but why can’t we synchronize our worldwide efforts, and try to save our rivers, lakes, and oceans, along with the entire species contained within them, which by the way, we heavily depend on? 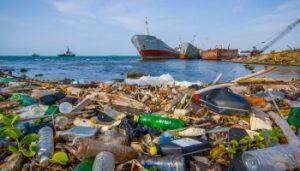 Why are we still using the rivers, lakes, and oceans as a dumping place? If we keep the same disregard towards them, what will happen when we go from 7 billion people on Earth to 9 billion by the year 2050, and demand more and more from them to survive? 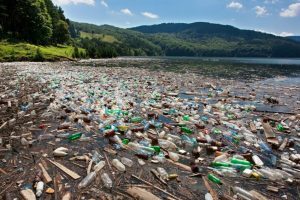 When are we going to understand and get through our thick skull the SEVERITY of the impact the garbage dumping will have in our rivers, lakes, and oceans? They have all taken good care of us throughout centuries, shouldn’t we return the favour by cherishing and protecting them before it is too late? 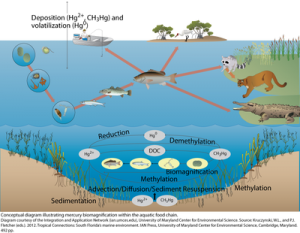 We can ALL do it at a personal level and contribute to their conservation, or our blue rivers, lakes, and oceans will be damaged to the point of no return. We require understanding they are vital for our subsistence, our livelihood. What is wrong with us? 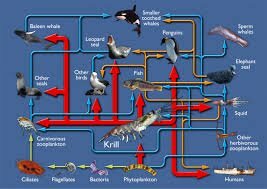 Can’t we clearly see our own position in the food chain? Observe the last two images carefully. Can you appreciate our position?